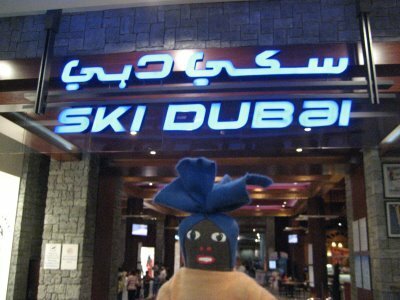 Ski Dubai is one of the most amazing places in the UAE. It is so hot outside. But they can make snow inside. They make snow for Ski Dubai as follows. First, they put in cooling and lower the temperature of the cooling to – 8C. Next, they use snow guns to spray clouds of liquid water (it looks like fog). Then, the spray cloud molecules form into the harsh snow. After that, the snow shaped molecules of the ice and snow fall from the cloud. Finally, they use a cooling system under conditions to make the ice and to make the foundation which gives excellent ice conditions. 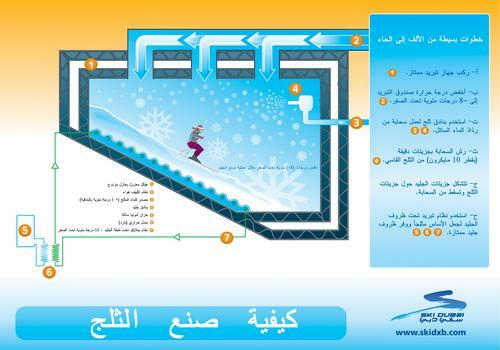 3- Chilled water source . 7- Gelaiko system under -15 degree Celsius. This article by Mohamed Abdalla Ahmed.